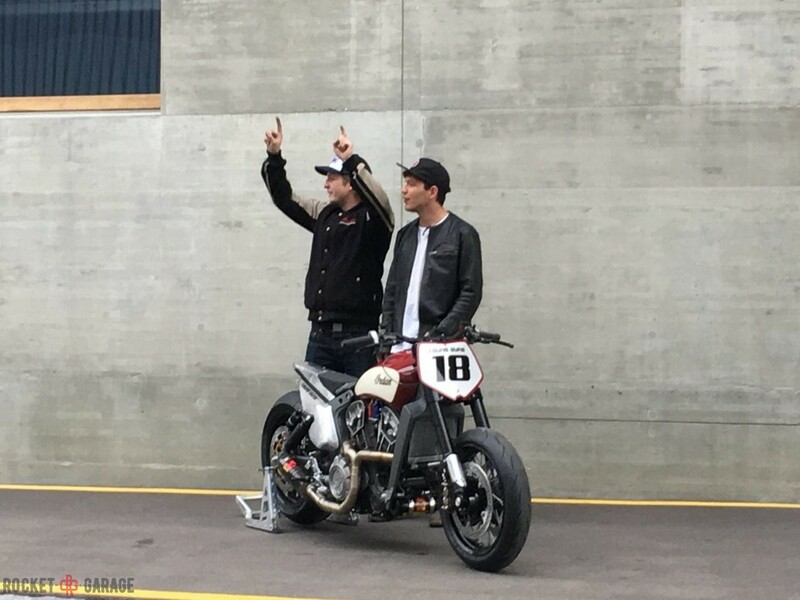 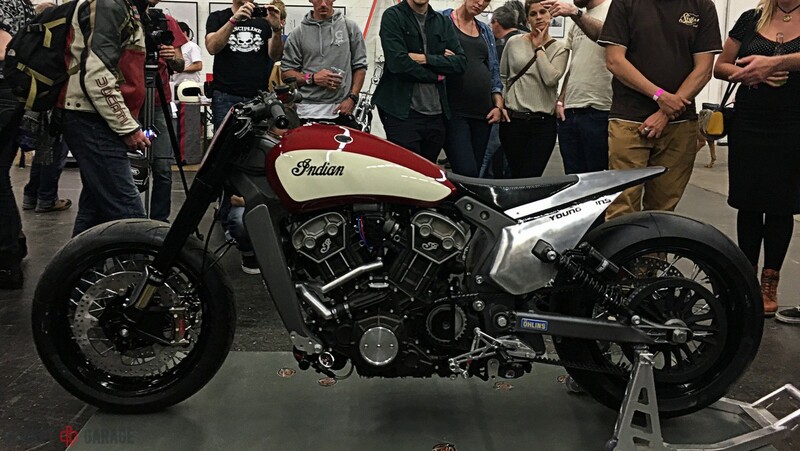 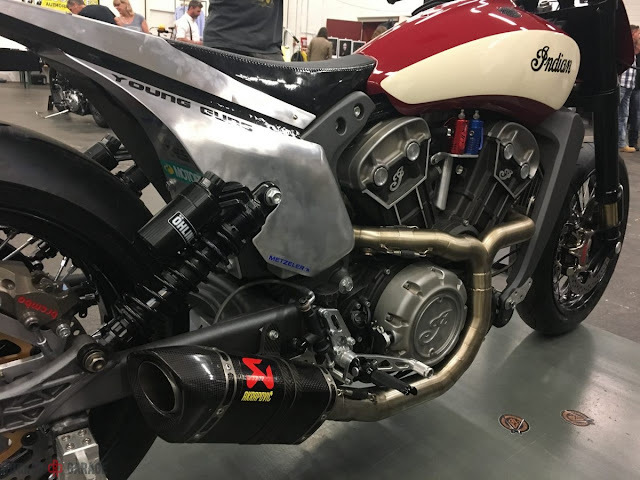 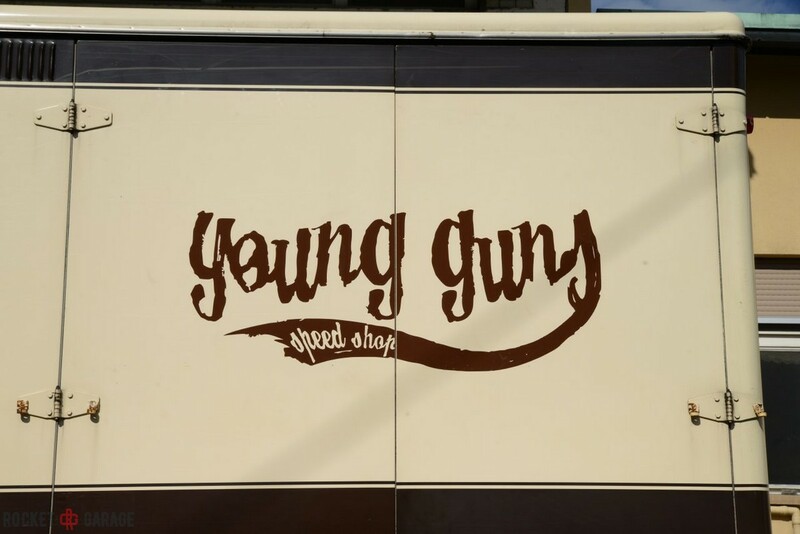 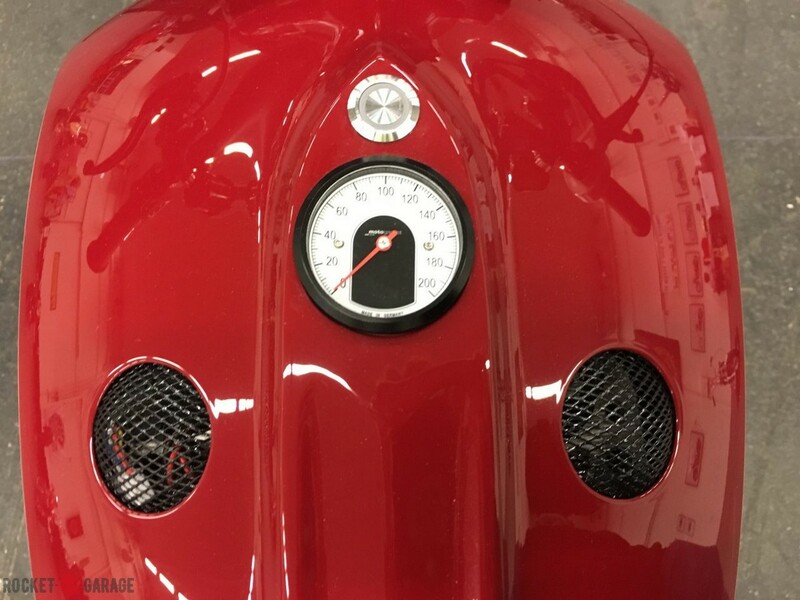 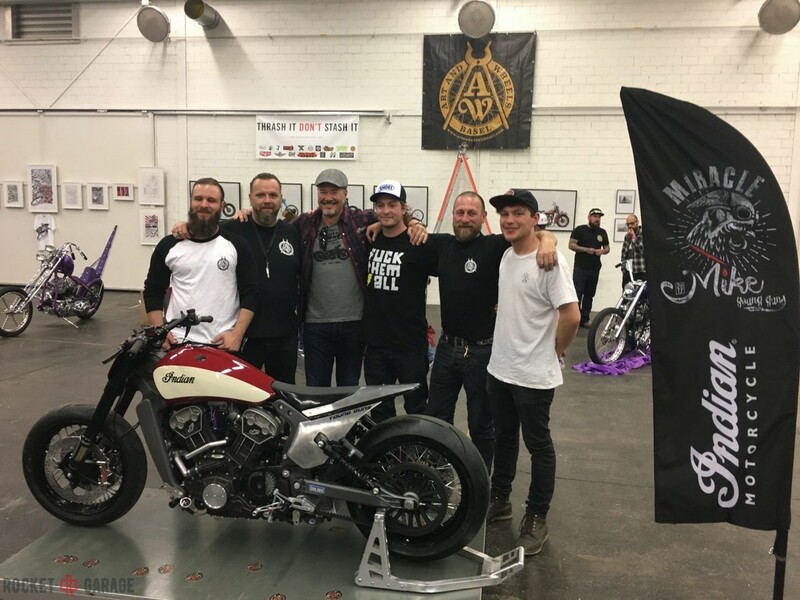 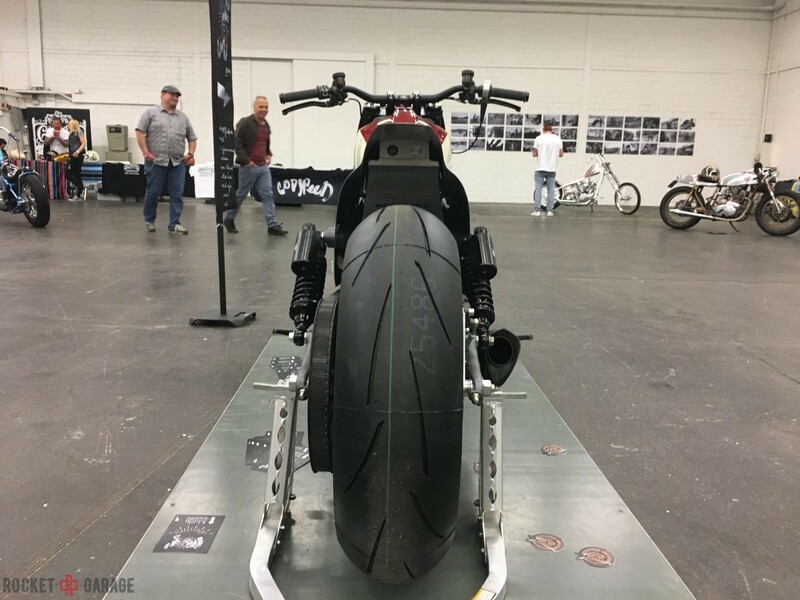 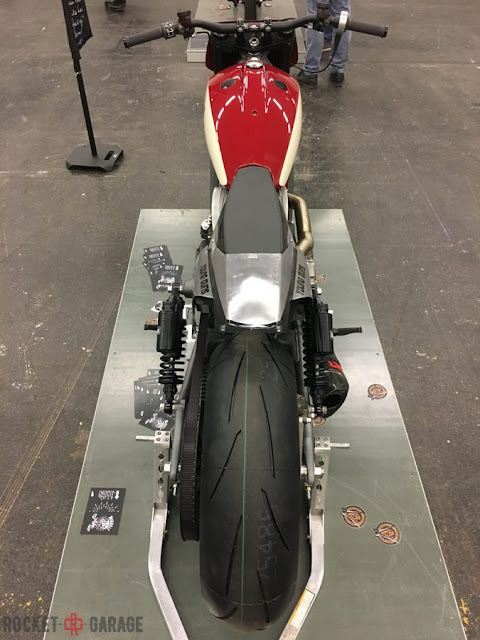 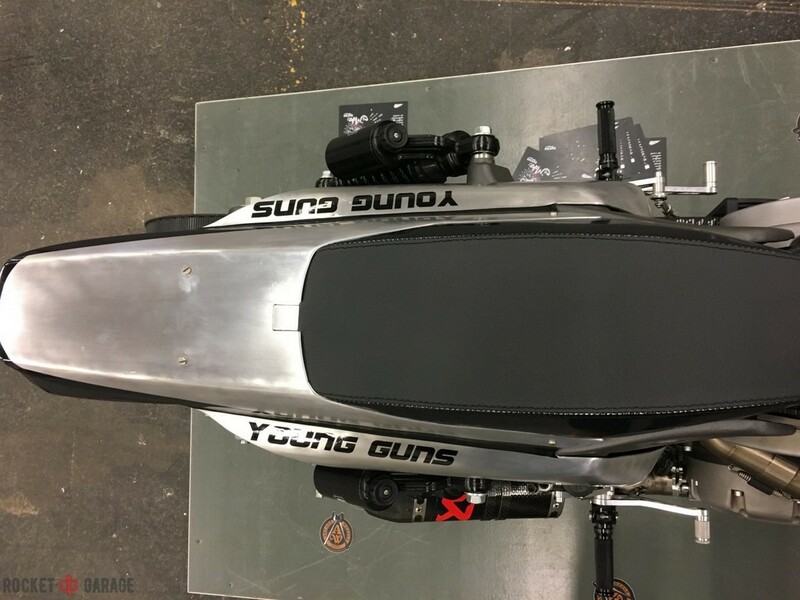 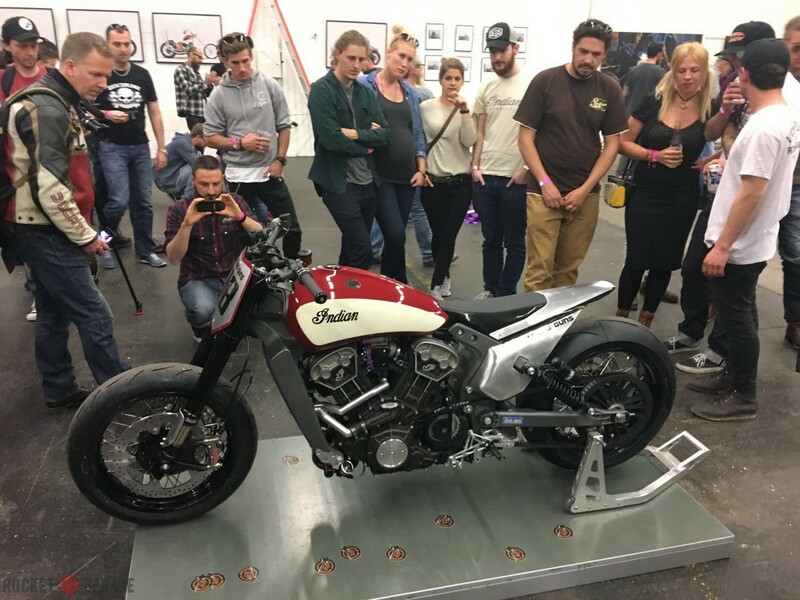 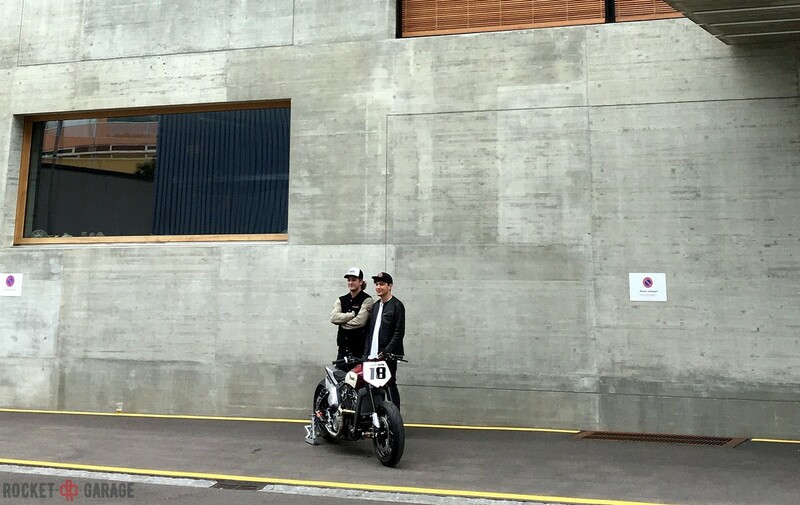 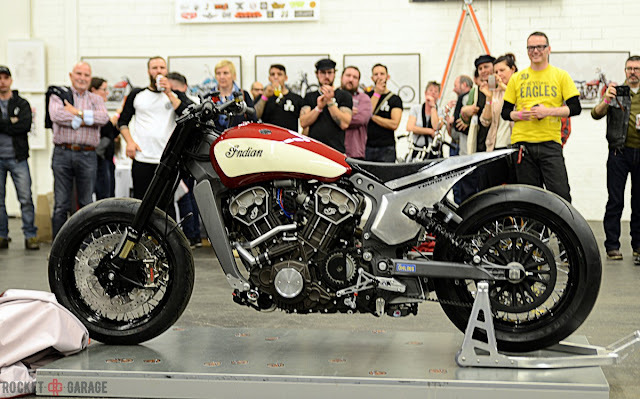 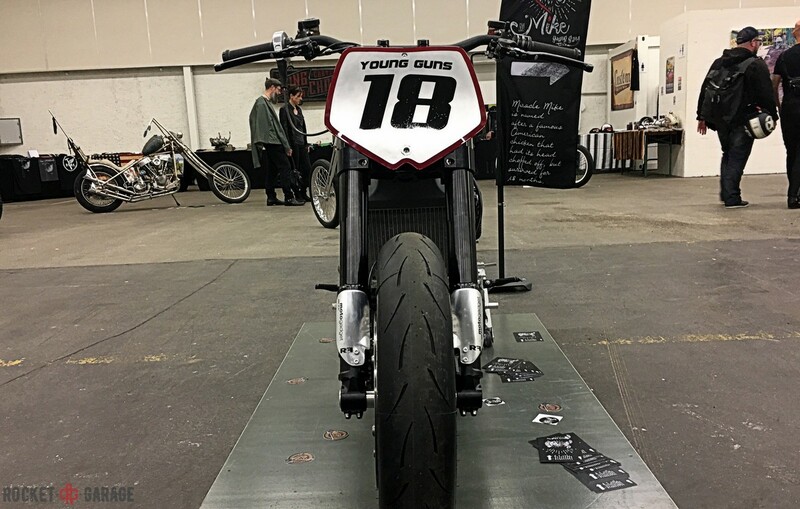 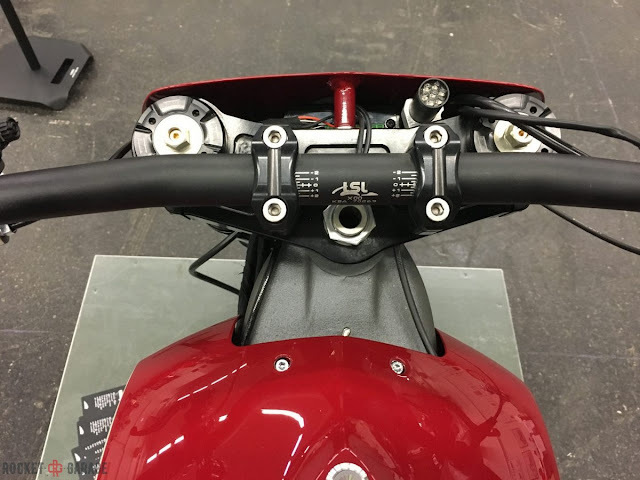 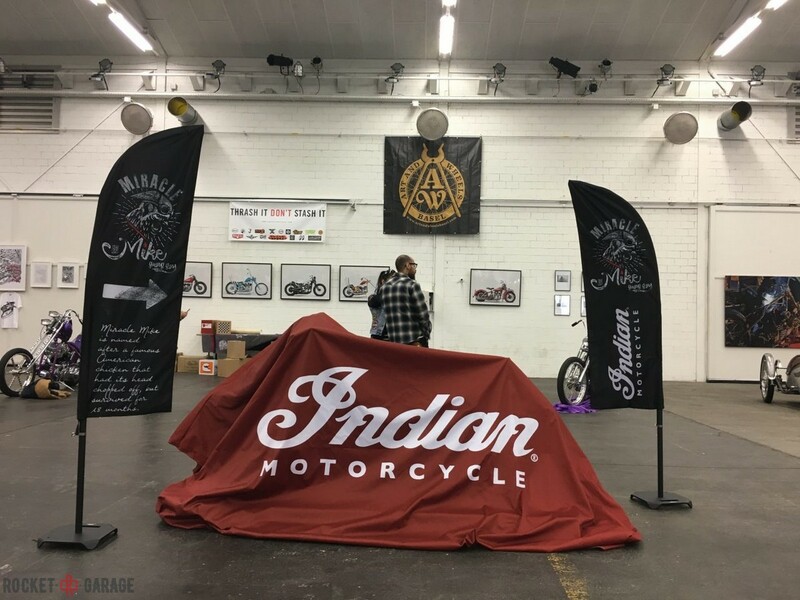 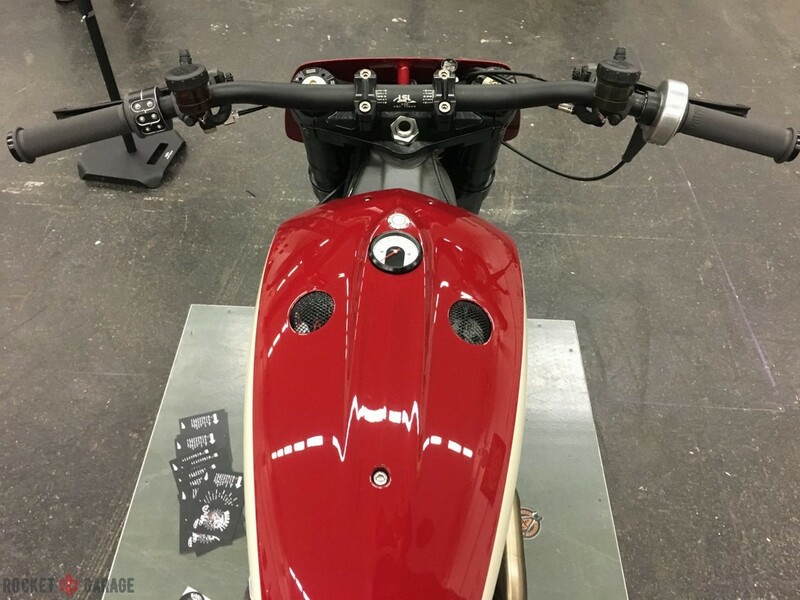 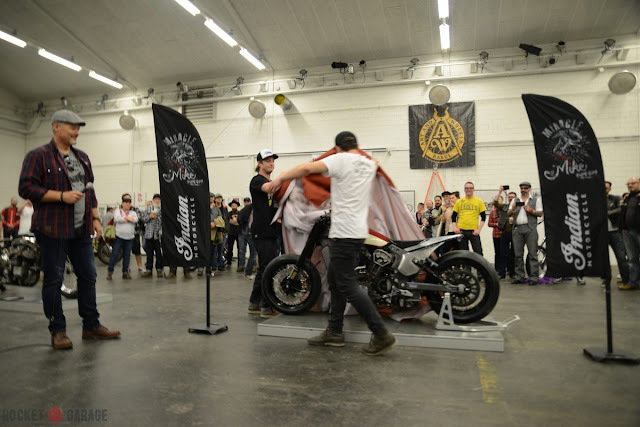 It’s been in the making for six months and this weekend at an art and motorcycle show in Switzerland, Indian Motorcycle and the Young Guns Speed Shop unveiled their Scout sprint racer called ‘Miracle Mike’. 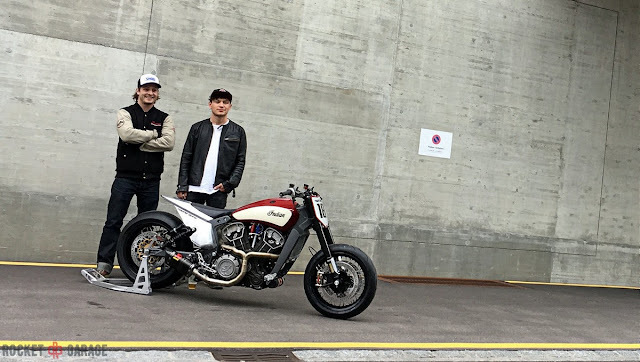 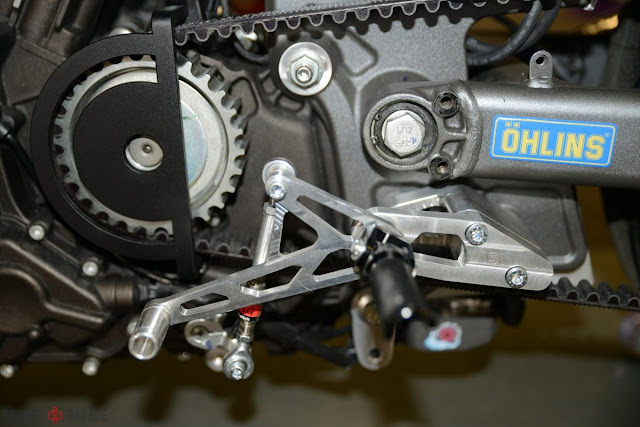 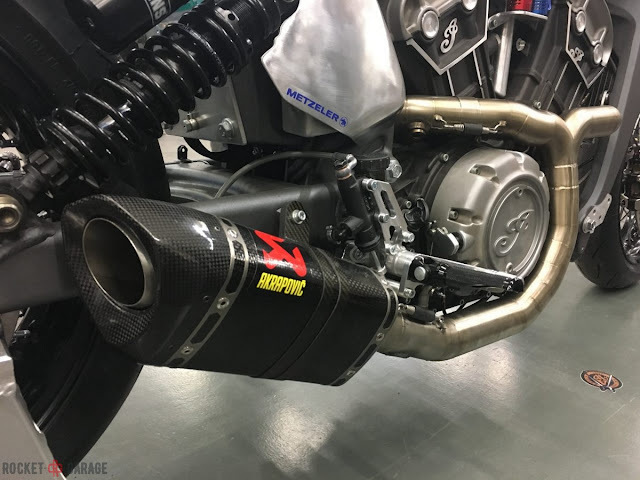 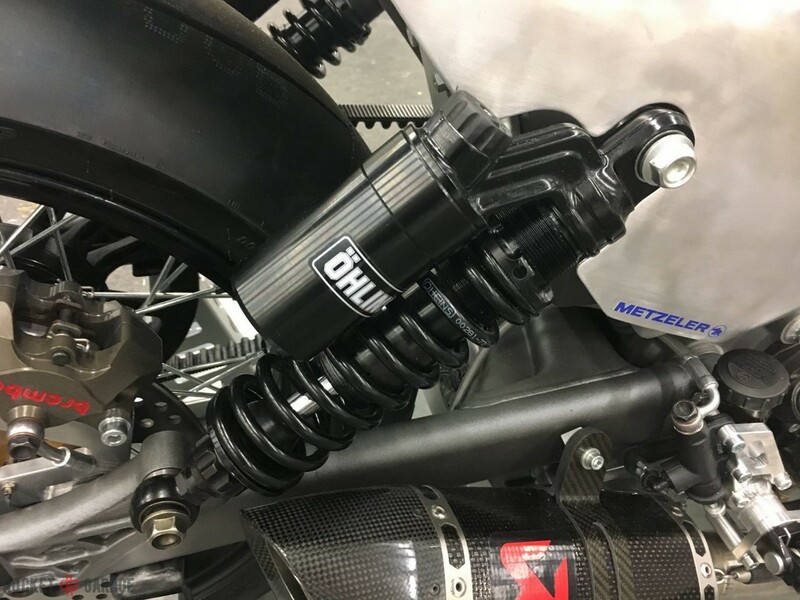 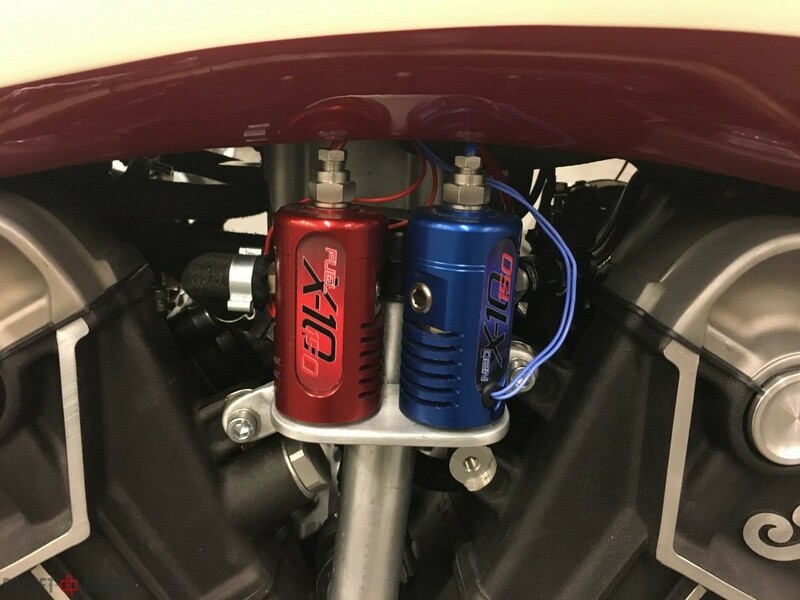 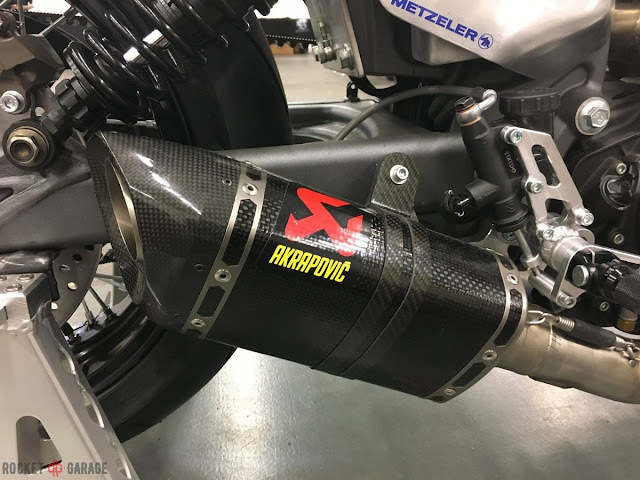 This special machine – with a nitrous oxide system mated to the Scout’s 1133cc v-twin engine – is set for a summer of sprint racing with the first race at the Café Racer Festival near Paris in mid-June. 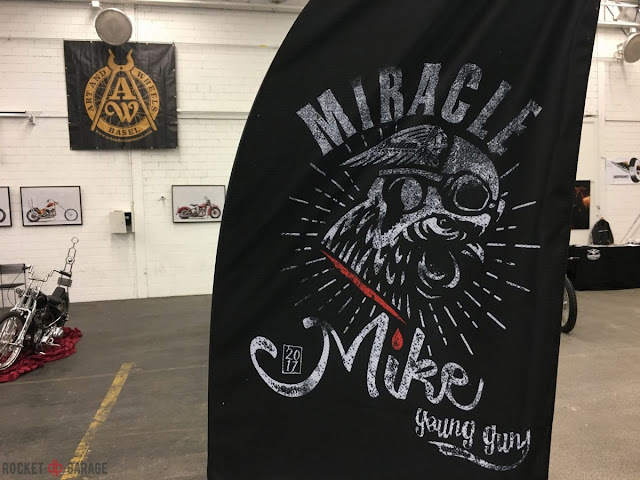 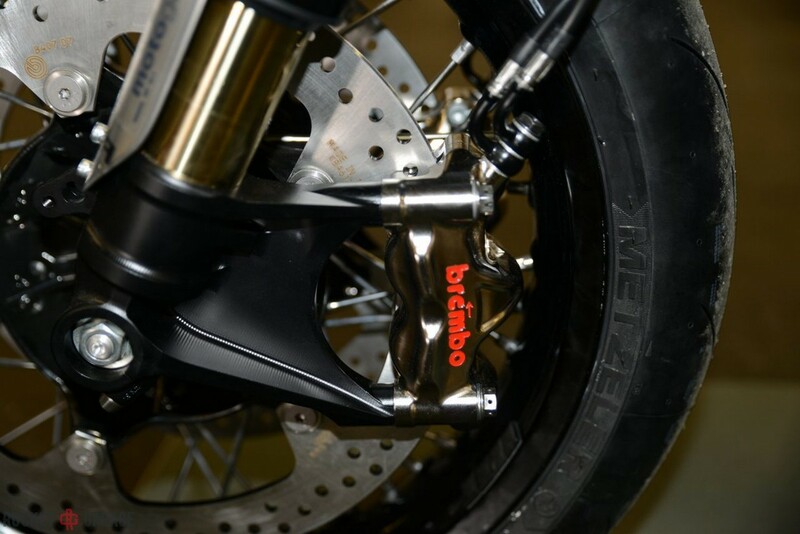 Miracle Mike, named after Mike the Headless Chicken, has been built with the official support of Indian Motorcycle and is a true American/European collaboration with parts sourced from motorcycling brands such as Öhlins (Sweden), Brembo (Italy), Wizards of NOS (UK), LSL Motorcycle Parts (Germany), Metzeler tyres (Germany) and Motogadget (Germany).